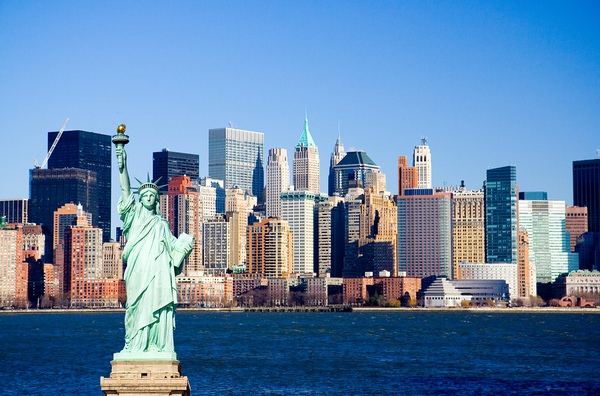 NYC Tech: Is New York City the New Tech Capital? Technology new headlines are abuzz with the news that companies like Google and Amazon are increasing their presence in New York City. Start-ups are surprisingly robust there as well. Is New York City becoming a new tech capital? The city has always had a tech presence, of course. In fact, some years ago, the sobriquet Silicon Alley was coined to both designate NYC tech players and highlight their commonalities with California’s Silicon Valley. But the fact is, New York has always been more of a leader in finance and traditional media than in tech or digital innovation, which have largely been associated with different regions. But recent expansions do highlight how much tech is moving into the city. Amazon located one of its second headquarters in Queens, New York, a short subway ride away from Manhattan. It is projected to add roughly 25,000 highly skilled and paid technology positions to the city’s workforce. (The other second headquarters location is in northern Virginia, proximate to Washington, D.C.) Alphabet, the parent of Google, recently signed a lease that would give it 20,000 workers in Manhattan, almost double the current level according to The Wall Street Journal. Silicon Valley giant Salesforce has a major new office tower named for it in Manhattan, and Sweden-based Spotify also has a significant presence there. But it’s not just the giants with easily identifiable logos. Over 7,000 tech start-ups call New York City home. In fact, according to Inc., last year tech companies in New York received venture capital funding to the tune of $12 billion, nearly double the $6.4 billion secured in 2014. This year’s levels are expected to exceed those of 2017. New York boasts the #2 position in unicorn start-ups worth $1 billion or more and has been dubbed the #2 performing ecosystem for start-ups globally by an outfit known as Startup Genome. So it looks as if tech has moved into Manhattan and its environs in a big way. Large companies establishing themselves look very good for the continued burgeoning of the tech scene there. Silicon Valley originally was home to innovators, after all, because it attracted large clusters of highly educated tech talent that spun off more and more companies, from the founding companies of the 1960s through Apple, Facebook, and the younger companies establishing themselves today. Observers believe that having the larger tech companies may tighten the labor outlook for the smaller start-ups, but it might prove ultimately very beneficial. Still, there are some potential drawbacks. First, New York City is very diverse, and tech has often been accused of having a diversity problem. Both women and minorities seem to face challenges advancing to significant roles in high percentages. Second, Silicon Valley received part of its impetus from (initially) low land costs. Low real estate costs have, of course, been far in the past in Silicon Valley for several decades, but the initial establishment of a tech ecosystem took place when barriers to physical entry were relatively low. Manhattan’s have been relatively high for most of its history. That might not be an impediment now, but an economic downturn could cause a retrenchment. But it’s also entirely possible that Silicon Alley will give Silicon Valley a run for its money. Stay tuned.